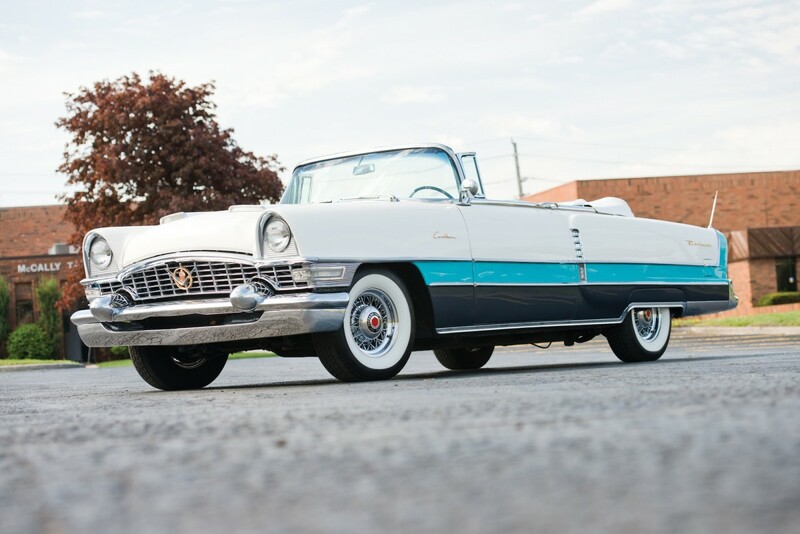 The 1955 Packard Caribbean Convertible represented the top of the line for the Packard Motor Car Company in the ’50s, the Caribbean exuded pure luxury with its iconic tri-tone paint work and rumbling 275hp, 352 cubic inch V8. The interior of the Caribbean was just as evocative as the exterior, thick two-tone leather seats were standard as was the advanced, push button Twin-Ultramatic transmission. Handling was class-leading thanks to the torsion bar suspension which featured automatic self-leveling – in fact many consider the Packard Caribbean to be one of the best handling American cars of the 1950s. The model was only produced in limited numbers for 3 years between 1953 and 1956, Packard would go bankrupt in 1958, leaving the Caribbean as (arguably) their last great automobile. With the staggering prices being asked for classic cars in the current market, the Packard Caribbean Convertible is enjoying huge demand and prices have soared from mid 5-figures to solid 6-figures in just the last few years. Packard only made 500 or so of these in 1955 and very few are thought to survive, the one you see here was restored and owned for 40 years by Bill Bocock, it twice won the ACD Club National Best Auburn and has a 100% known history since new, it’s also been previously featured in Motor Trend Classic.